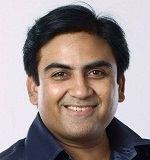 Dilip Joshi was born on 26th May 1965 in Porbandar, Gujarat state. 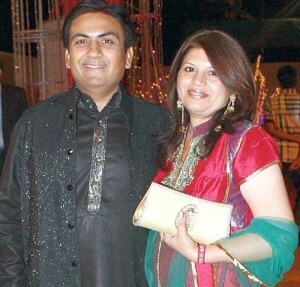 He started his Television career in 1994 with Television serial Galatnaama playing the role of Raj Kumar Bharti. Since 1994 he appeared in numerous Television series and most noted among them are C.I.D. , F.I.R., Taarak Mehta Ka Ooltah Chashmah etc. Apart from Television shows he also appeared in films, his film debut was with Maine Pyar Kiya in 1989 co-starring Salman Khan, Bhagyashree Patwardhan, Alok Nath, Laxmikant Berde and Reema Lagoo. He subsequently appeared in films like Hum Aapke Hain Koun..!, Khiladi 420, Humraaz etc. During his decades long acting career he earned several awards including Zee Gold Awards, 12th Indian Television Academy Awards, People’s Choice Awards India etc. He is married to Jaymala Joshi and the couple gave birth to a son named Ritwik Joshi and a daughter named Neeyati Joshi. 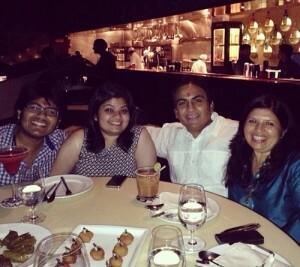 His family is settled in Mumbai.